Does your company have a GRC Program? If so, do you feel your GRC program is mature? The post Critical Steps to Building an Integrated GRC Program appeared first on OCEG . Does your company have a GRC Program? If so, do you feel your GRC program is mature? 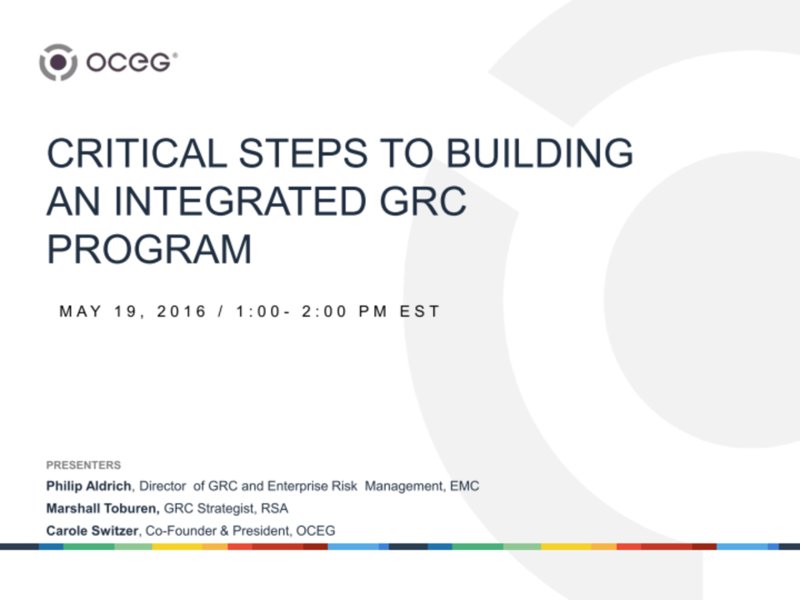 The post Critical Steps to Building an Integrated GRC Program appeared first on OCEG. We have emailed instructions to access Critical Steps to Building an Integrated GRC Program Slide Deck to . Make sure the email arrives in your inbox: either add "support@oceg.org" as a safe sender to your email platform, or if you use Gmail, drag our email into your Primary tab.